Phi were chosen to attend The Higher Education Estates Forum, an annual event designed to specifically meet the needs of those involved in the supply, design, build and management of all types of education facilities. 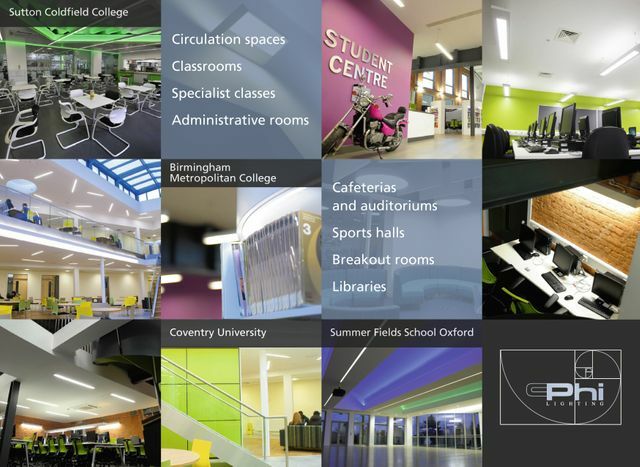 Phi understand the lighting design for a school, university, or college needs to provide a balanced, well-lit environment for students and staff to carry out their daily activities comfortably in attractive and stimulating surroundings. Phi offer knowledgeable design and project management support plus energy efficient, high quality solutions. Why not read a few of our award winning case studies.